A yacht is the quintessential luxury product. It has to look good, which means a flawless coat of paint – superb gloss, no orange-peel effect and a solid depth of colour. The paint also needs to be durable: a freshly painted yacht will usually have great gloss, but how long will that last? 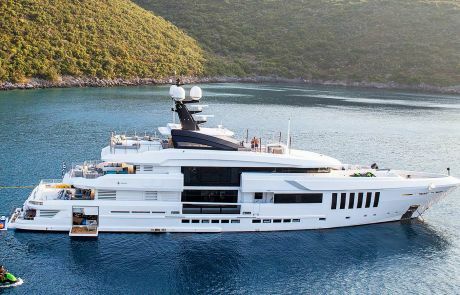 What is the relationship between opacity and durability, which paint schemes are the suppliers recommending, and how can you be sure of getting the exact gloss, colour and durability you require for your yacht? Colin Mason, Technical Manager at CCS, gives the lowdown. Would you like an answer on your specific paint question? Please give us a call on +31 35 7512150 or send us an e-mail! A sparkling paint job starts with the assistance of a CCS coating advisor. Regular inspections during a refit or newbuild period set you up for paint application success. CCS has coating advisors in all major yachting centres. CCS is the reliable choice for an independent and expert surveying and troubleshooting service. With access to the latest inspection methods and technologies we have the means to accurately assess any paint job. 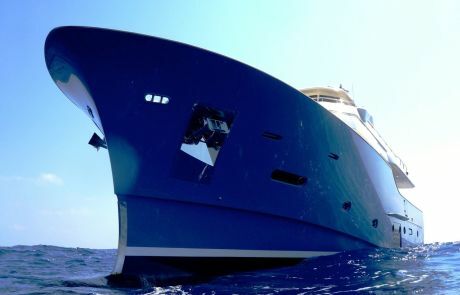 For a truly holistic approach to yacht paint consider retaining CCS as project’s consultants. From drafting the specification to final acceptance, CCS offers tailor made superyacht paint consultancy solutions based on your specific needs. Superyacht coating intelligence straight to your inbox!